Choose a business with a reputation for responsiveness, integrity, and a commitment to quality. "Our customers are part of the family. I have been with Mr Kleen Maintenance for over 25 years. I have worked in every position within the company, starting as a front line cleaner a few hours a week after school. I know how every level of this company operates inside and out, but more important I get to know each of my clients personally. At Mr Kleen our goal is not simply to provide outstanding janitorial services, but to also earn your trust. It is the goal of Mr Kleen Maintenance to provide to our customers exceptional building maintenance services and value. We are committed to providing excellent people, trained and managed properly, utilizing industry leading equipment and chemicals. Through our professional affiliations and investment in learning, we will strive to stay current with proven cleaning procedures and provide quality control checks and balances. Mr Kleen's success is founded on professional affiliations and an investment in learning, coupled with an excellent management team utilizing industry-leading products and techniques. We will provide our customers with the best possible building maintenance by incorporating checks and balances into our daily operations. We will provide our employees with an orientation of our customer’s facility, and an accurate job description explaining what s expected of them while representing Mr Kleen Maintenance and working in our customer’s facility. 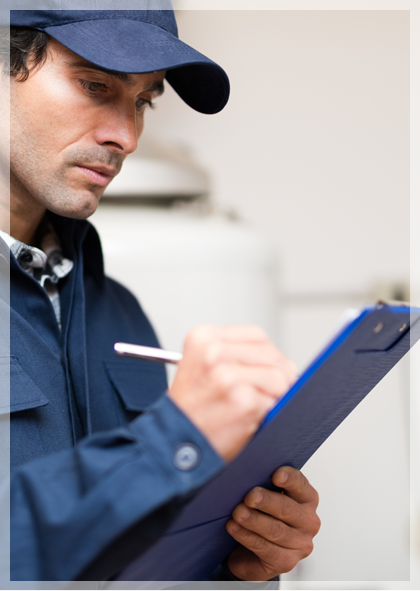 Our on-site supervisor will inspect the job nightly to ensure full compliance with the specifications. Our quality inspectors and top management will make unannounced visits and inspections both during evening and business hours. We will communicate frequently and encourage communication from our customers to see how we’re doing. We will place a communications logbook in your building for daily entries of any minor problems or special requests to be performed that night. Our employees form the backbone of our business. At Mr Kleen Maintenance, we support our team so they can deliver you exceptional service and value, every time. We are very careful to interview and screen all candidates, including background checks and random drug screening to select only those with the best character and a work history of proven excellence. We promote our key staff from within our company. All staff receives extensive training from our managers, including on-site training incorporating “Butcher’s Building Block Training System”. Once assigned to a facility, they receive additional side-by-side accompaniment to help them fully implement their training and to learn the specifics of that building. All employees are thoroughly instructed in the proper use of all products and equipment needed for each job. Products and equipment are of the highest quality and have been selected in order to assure the expected results. Where required, data sheets can be made available. All Mr Kleen staff are attired in a company smock/uniform which bears the company name and logo, making them easily identified on the job site. BSCAI is a worldwide organization of over 3000 companies such as Mr Kleen Maintenance in over 40 countries. The purpose is to further the professionalism of the industry worldwide. Annually, BSCAI holds the largest maintenance trade show in the United States. This is a great forum to speak to suppliers and other industry professionals with the express purpose of improving our service to our clients. ABSC/M serves a similar function as the BSCAI but on a local level. ABSC/M holds seminars and workshops throughout the year and an annual convention and trade show in Troy, Michigan. Founded in 1908, the Building Owners and Managers Association (BOMA) of Metro Detroit is a professional trade association whose 400+ members either own or manage commercial real estate, or provide goods and services to the industry.